Imagine a world where almost everyone wakes up inspired to go to work, feels trusted and valued during the day, then returns home feeling fulfilled. Today’s successful leaders create environments in which people naturally work together to do remarkable things. What’s the key to making that happen? 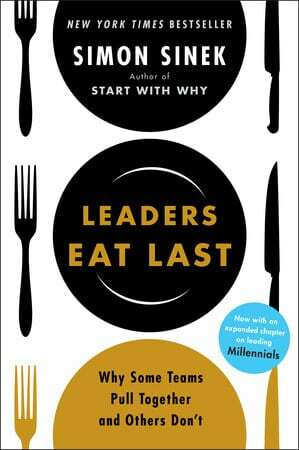 The answer became clear to Simon Sinek when, in a conversation with a Marine Corps general, he heard the general say, “Officers eat last,” and saw that premise acted out in a Marine mess hall. What was symbolic in the chow hall is deadly serious on the battlefield: Great leaders sacrifice their own comfort for the good of those in their care. Sinek illustrates his point with fascinating true stories that range from the military to big business, from government to investment banking.